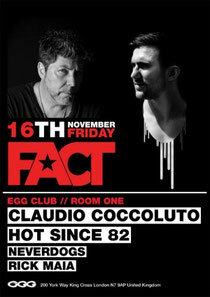 Italian house music icon, Claudio Coccoluto returns to Fact London on November 16 for a rare appearance, with rising house star, Hot Since 82, also representing alongside the Italian duo, the Neverdogs. 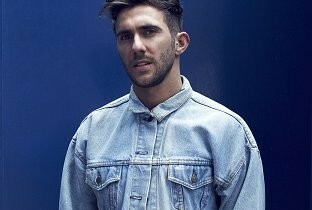 The London/Spanish/Italian family that is Leading Astray & P.I.M.P. bring their collectives to the terrace and Loft. 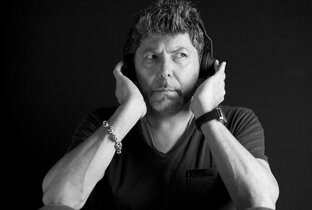 With over 70,0000 records collected and catalogued since the early-70s – ‘Goats Head Soup’ by the Stones being the first one he ever bought at the tender age of nine – Claudio Coccoluto has made a significant mark within the world of electronic music which he has used to showcase an ever-growing blend of music, and confront the future as a DJ, an artist and a global communicator.